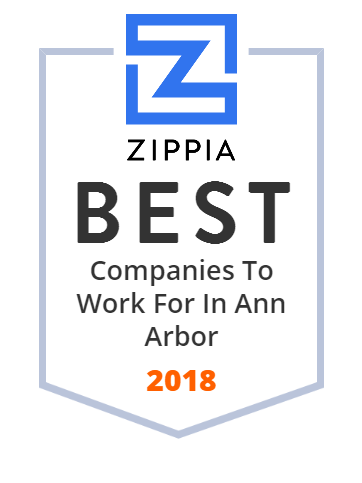 We hand-curated a list of the best companies to work for headquartered in and around Ann Arbor, MI using data on salaries, company financial health, and employee diversity. Truven Health Analytics Inc. provides healthcare analytics solutions and services in the United States and internationally. It operates through two segments, Commercial and Government. The company offers population health, provider performance, payment integrity, and patient care solutions; and advisory services, such as performance improvement and organizational transformation consulting, analytics consulting, and custom research. It serves federal and state government agencies, hospitals, health systems, employers, health plans, and life sciences companies. The company was founded in 2012 and is headquartered in Ann Arbor, Michigan. Truven Health Analytics Inc. is a subsidiary of Truven Holding Corp.
Lycera aims to develop the next generation of drugs able to bring original solutions to patients with the greatest need. Xambrosius #BusinessIntelligence Tools, #PerformanceManagement, #FinancialForecasting and Analytics for #smallbusiness. We are BI for the Little Guy! Akadeum Life Sciences has developed a faster, easier way to separate cells from biological samples by using buoyant microbubbles. Official page of both scoutforce.com and scoutforceathlete.com | Helping both coaches and athletes simplify college recruiting! We challenge kids to become better thinkers, inspiring self-confidence through the joy of online play. 4 to 7 year olds can play our Laughter Lake for free. Terumo Cardiovascular Systems Corporation develops, manufactures, and distributes medical devices for cardiac and vascular surgery. It offers Autotransfusion products, which collects and processes a patient s own blood during surgery; beating heart products; Cannulae, which are inserted in the heart during cardiac surgery to perform various critical functions; endoscopic products that allows clinicians to perform minimally invasive procedures; and monitoring systems that provides continuous information on patient parameters during cardiac surgery and into the intensive care unit. The company also offers perfusion products to temporarily replace the functions of the heart and lungs during cardiac and thoracic surgery procedures; platelet concentration systems, which are used in the procurement of concentrated and platelet-derived growth factors; sternotomy products; and surgical stabilization products. In addition, it distributes Vascutek products, including vascular, thoracic, abdominal, and peripheral prosthetic grafts for vascular surgery and vascular access in the United States. Further, the company offers Optimizing Cardiac Surgery Clinical Resource, a library of information focused on clinicians experience with Terumo products for clinicians to improve patient outcomes and reduce hospital costs. It offers products through a network of subsidiaries, sales branches, and third party distributors in the United States and internationally. Terumo Cardiovascular Systems Corporation was founded in 1999 and is based in Ann Arbor, Michigan with sales offices in North America, Europe, Asia, Australia, South and Central America, the Middle East, Africa, and India. It has technology and manufacturing centers in Ann Arbor, Michigan; Elkton, Maryland; Ashland, Massachusetts; Kanagawa, Shizuoka, and Shizuoka, Japan; and Merseyside and Scotland, United Kingdom. As of July 2, 1999, Terumo Cardiovascular Systems Corporation operates as a subsidiary of Terumo Medical Corporation.